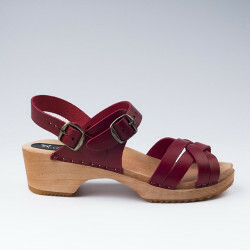 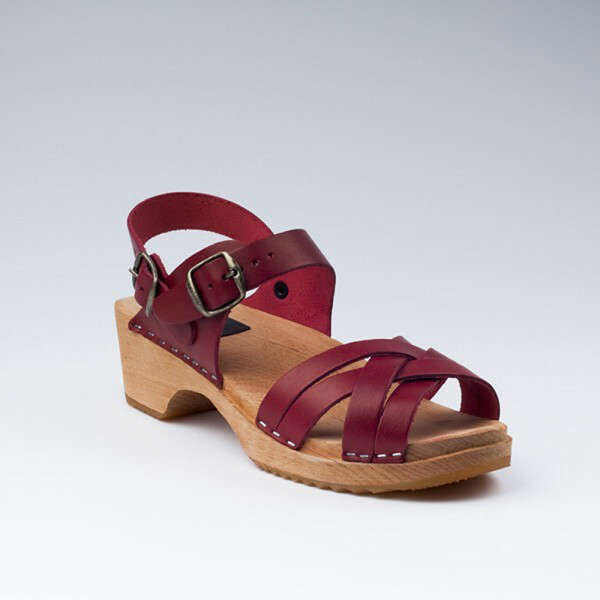 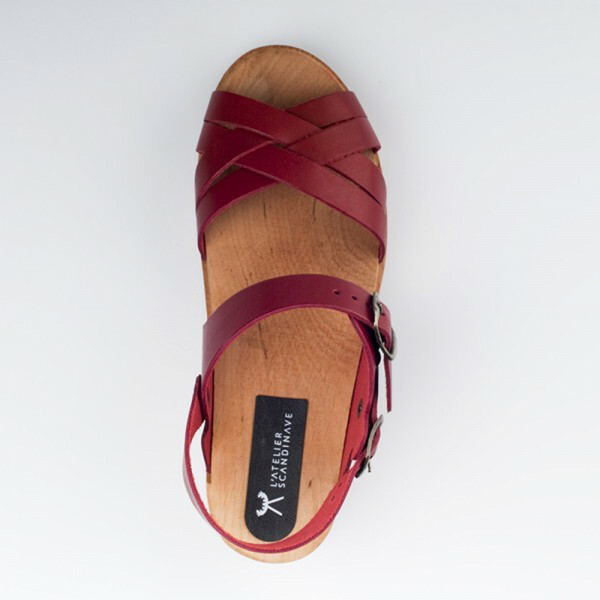 Traditional Swedish sandals with several braided straps in burgundy leather. 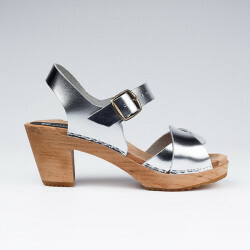 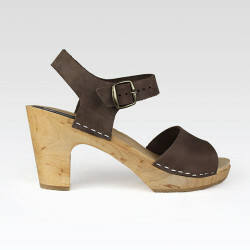 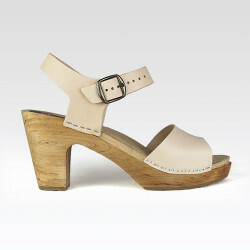 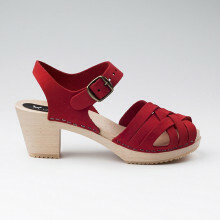 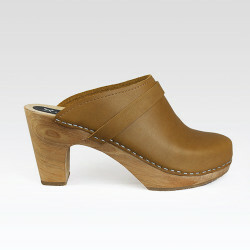 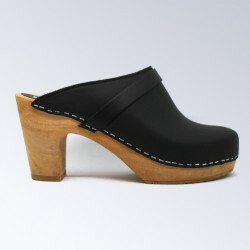 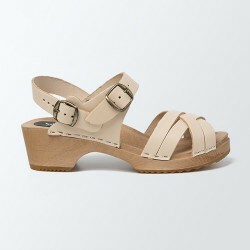 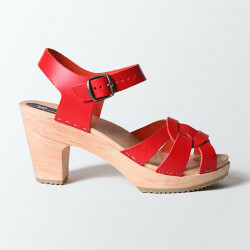 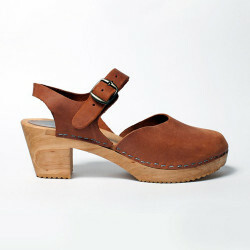 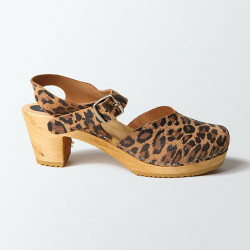 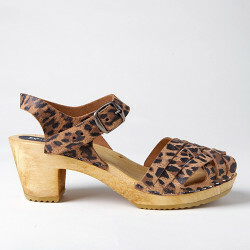 Heel height : 5 cm which is the same height as the traditional clog. 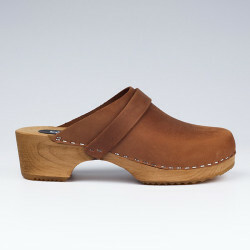 A hard rubber on the wooden base provides extra protection and comfort. 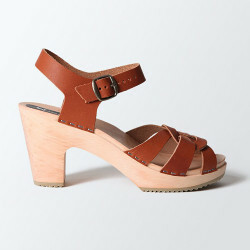 Take your usual size.